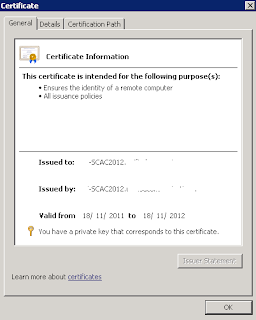 System Center 2012 Private Cloud Community Evaluation Program contest winner!! Nice to see the email last night arrive into my inbox telling me that I had won the November competition for the Microsoft System Center 2012 Private Cloud Community Evaluation Program (CEP) as a result of my blog posts on 'Cloud Management with System Center'. 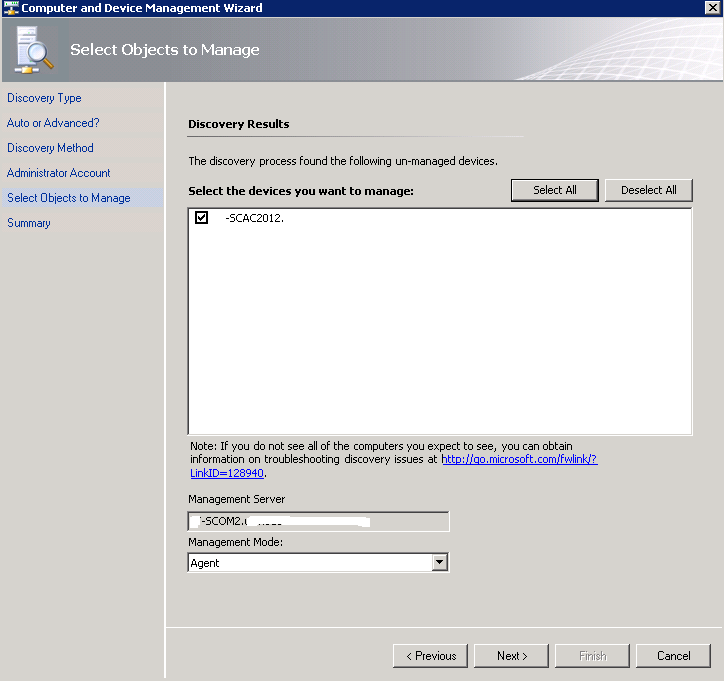 There were two aspects of the prize - a brand new Microsoft Touch Mouse and entry into a draw in February for a free MMS 2012 ticket! 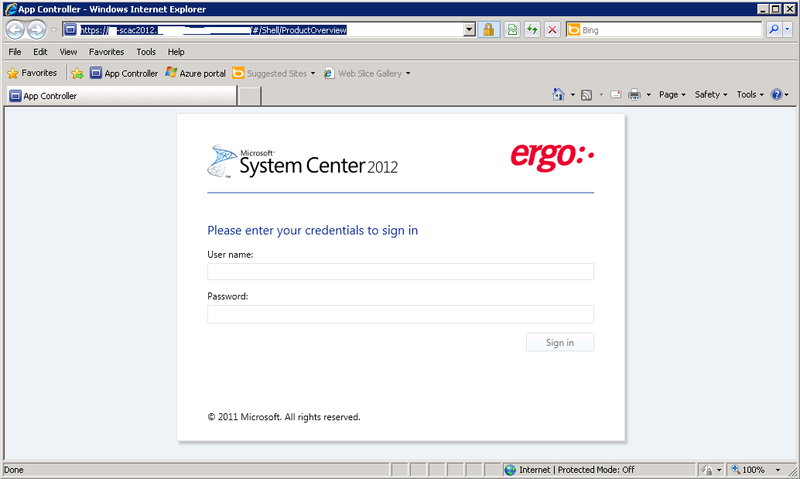 As part of my Year Zero session presentation, I wanted to show the integration between a number of System Center products while highlighting Cloud Management and the IT as a Service model. 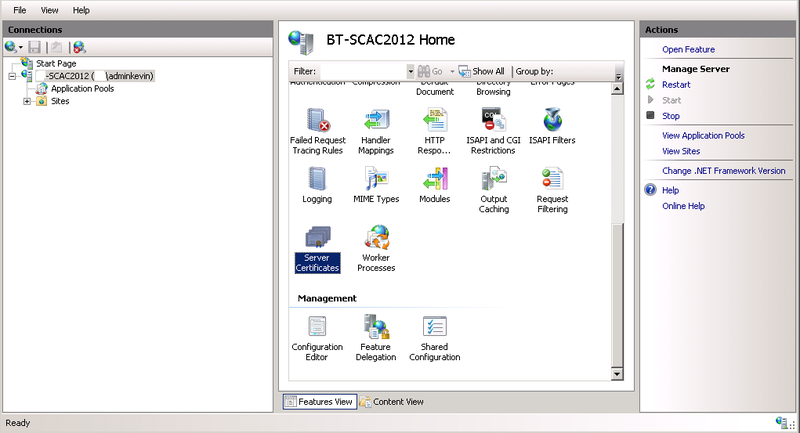 This is more a customisation than integration but none the less – it works for me until we get a Management Pack for App Controller into SCOM 2012! 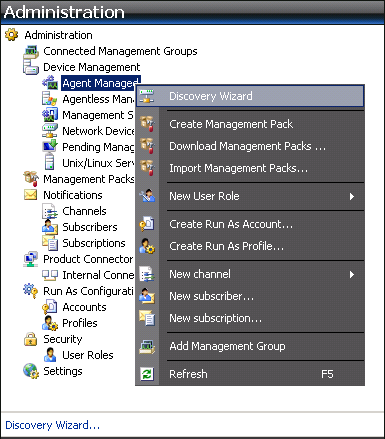 When you have App Controller installed, you need to deploy the SCOM agent to the App Controller server. 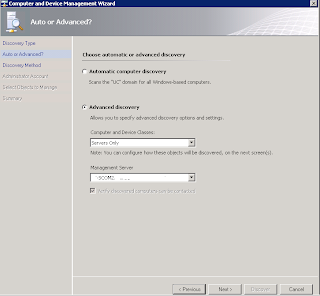 I’ll be carrying these steps out on a SCOM 2007 R2 server as opposed to SCOM 2012 as SCOM 2007 R2 is more prevalent at the moment and will be the main production monitoring application people are using for the coming months. 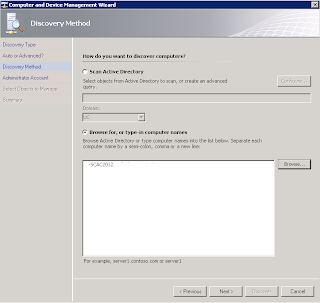 These steps will work exactly the same however with SCOM 2012. 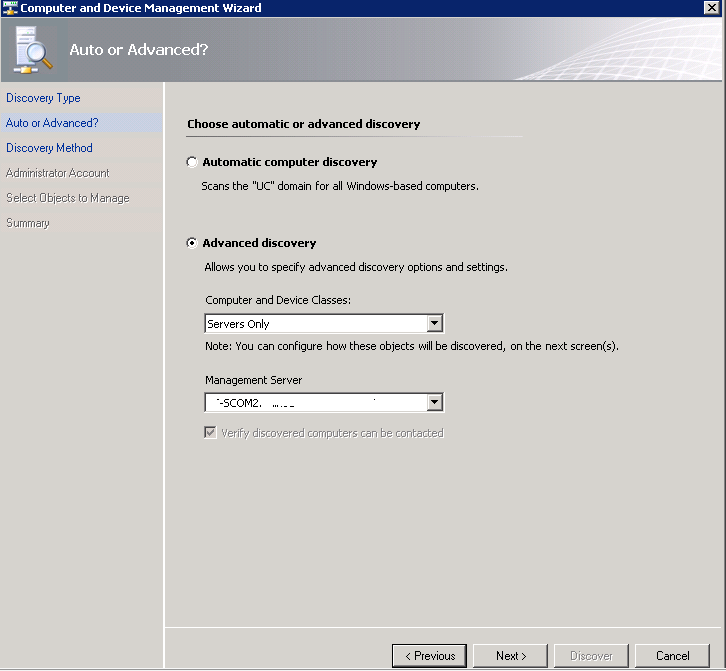 Follow the screens below to complete the 'Discovery Wizard' and to install the SCOM Windows agent onto your App Controller server. 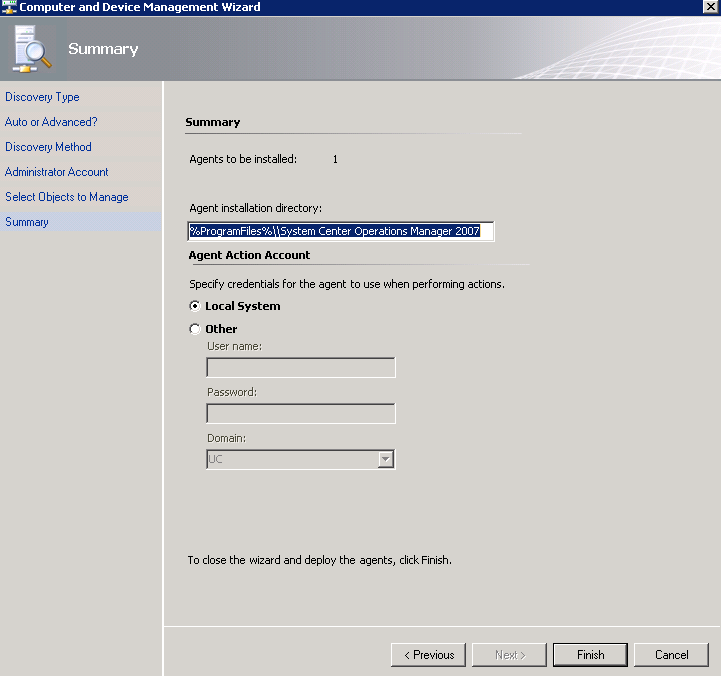 Once the above steps have been completed, you should then have your SCOM agent deployed to your System Center App Controller 2012 server. 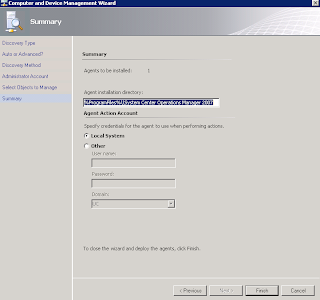 At this point, you should have your SCOM agent deployed to your App Controller server and a custom group created that includes the new App Controller agent. 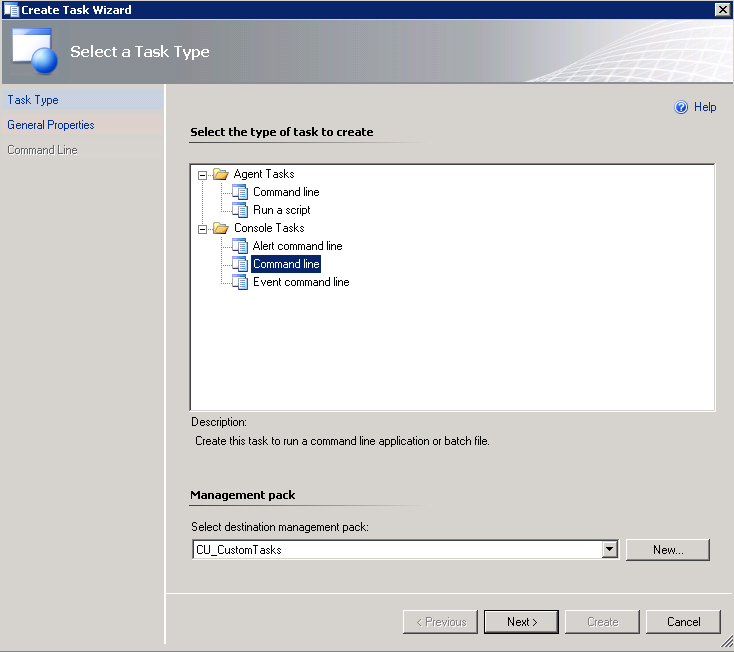 To enable us to launch the App Controller console from the SCOM console, we need to create a custom task within SCOM that evokes a URL shortcut to the App Controller console. 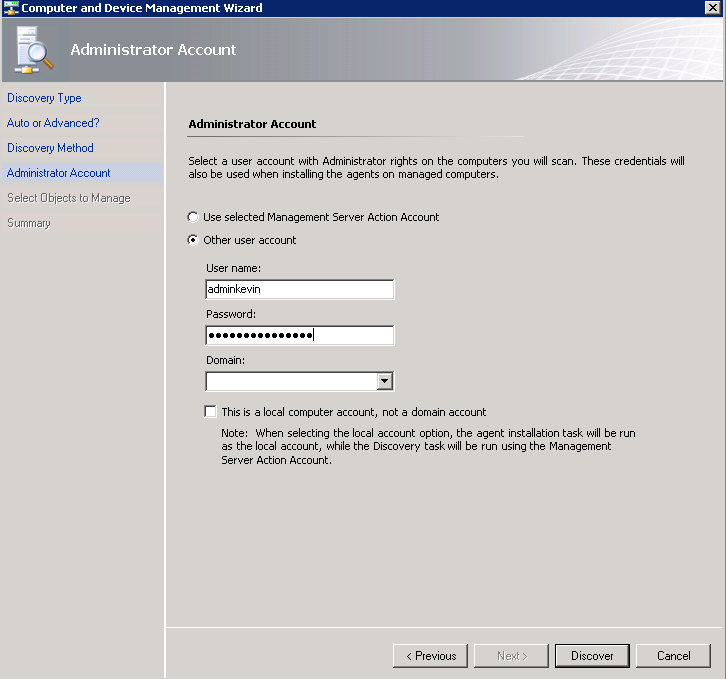 Now, log back onto the server with your SCOM console installed. 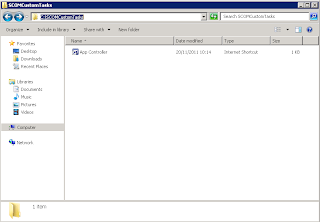 Open up Internet Explorer and browse to the App Controller URL shortcut. 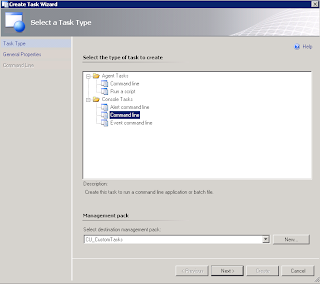 Untick the 'Display output when task is run' box and then click 'Create' to complete the custom task creation. Once you have your custom task created, anytime you click on your System Center App Controller server within SCOM, you will see the 'App Controller Console Launch' action present in the 'Actions' window on the right hand side of the screen. 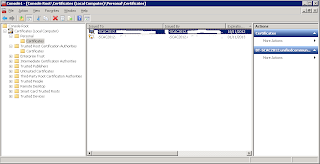 The screenshot below is the Distributed Application Service that I built for the Year Zero event and I have highlighted in RED the App Controller server in the diagram and its associated custom task on the right. 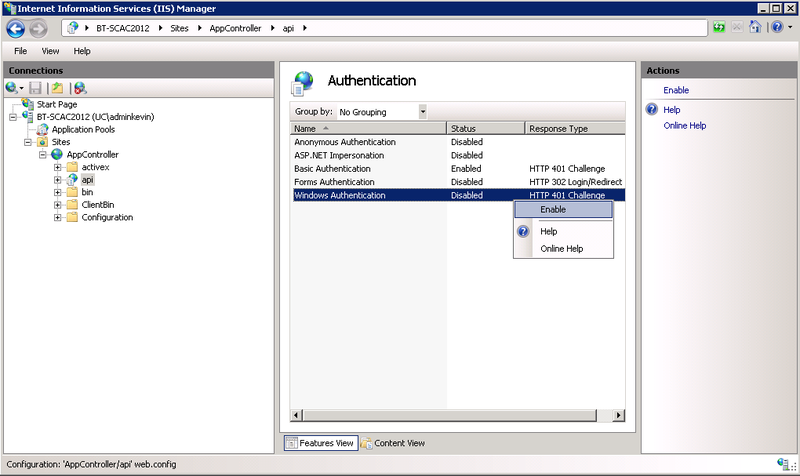 Notice also, that this process is not by any means specific to just App Controller. 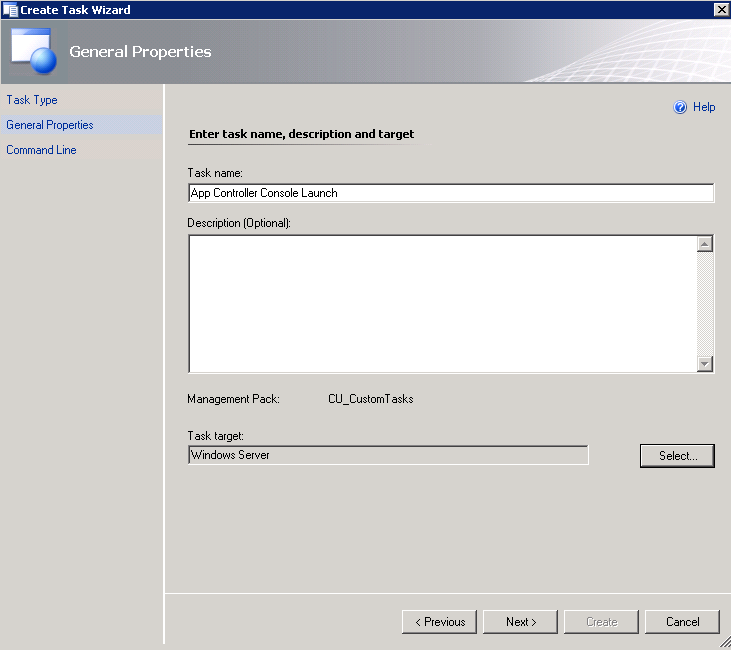 If you look at the diagram above you will see I have created a similar custom task to enable me to launch my System Center Orchestrator 2012 console too (see the 'Orchestrator Console Launch' action on the right). 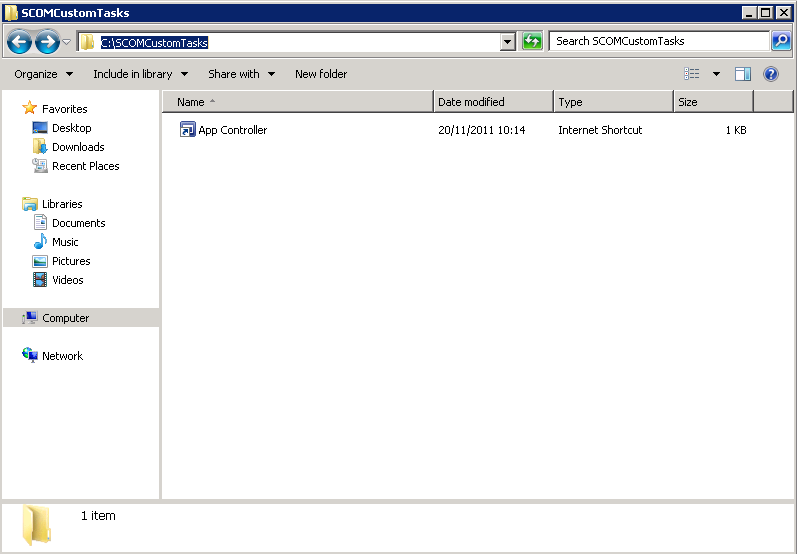 Now thats what I call central management with SCOM!!!! 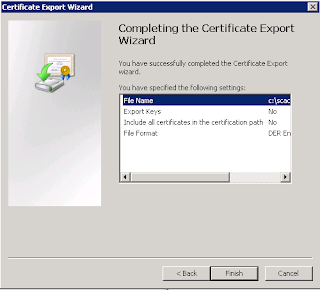 In Part 1 of 'Connecting App Controller to Azure', I walked through the steps required to create a self-signed certificate on your App Controller server and how to export that into both .PFX and .CER formats. 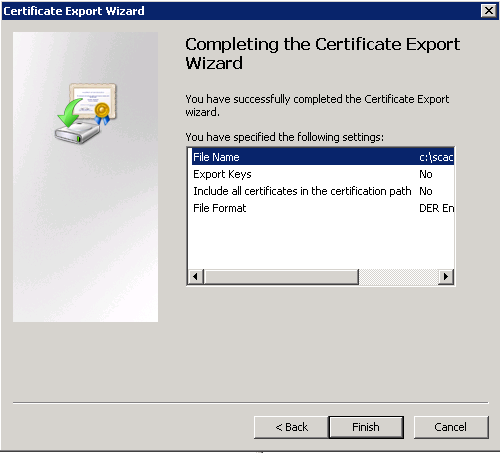 With the certificates exported you are now ready to start working in Azure to get the connection created. 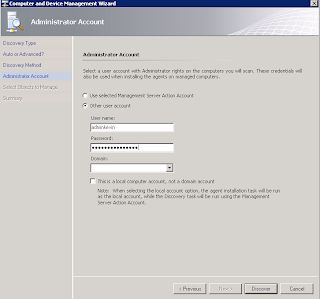 The following procedure presumes that you already have a subscription setup within Windows Azure and are ready to add a management certificate to that subscription. 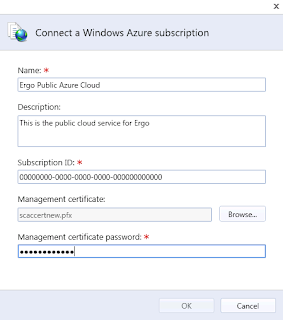 If you haven't yet got a subscription or an Azure account, you can get more information here on whats needed to get you started. 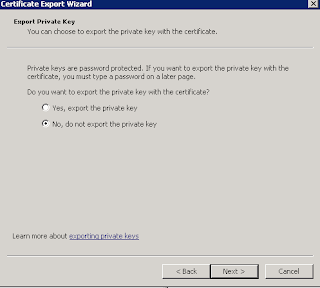 First up, you need to login to the Windows Azure Platform Management Portal with the relevant credentials that allow you permissions on the subscription to add management certificates. 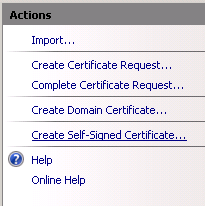 In the navigation pane, click 'Hosted Services, Storage Accounts & CDN' and then at the top of the navigation pane, click Management Certificates. 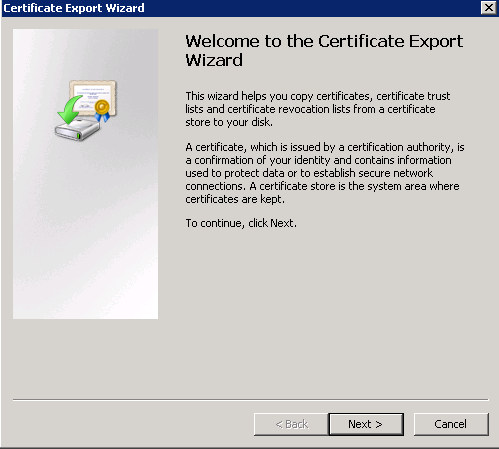 The Add New Management Certificate dialog box opens. 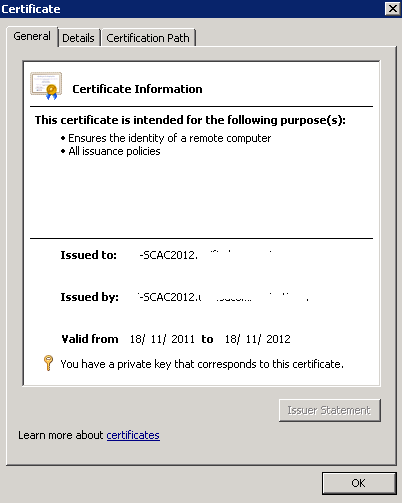 In Choose a subscription, select the Windows Azure subscription to add the management certificate to. 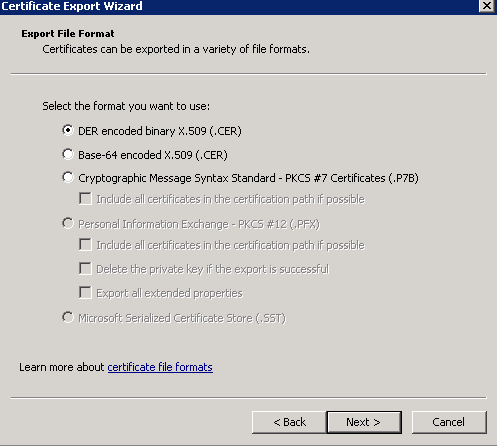 Now that we have added the .cer certificate file to our Azure subscription, we need to create the connection between App Controller and Azure while adding the .pfx file with the encryption key to the App Controller connection. In the 'Connect' dialog box, enter a name for this subscription. 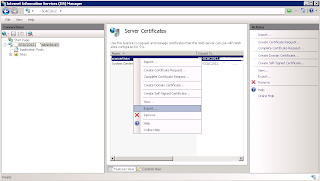 This name is displayed in the Name column of the Clouds page. 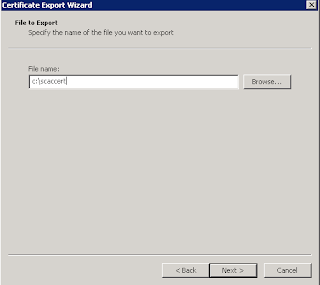 Add an optional description in the Description text box. 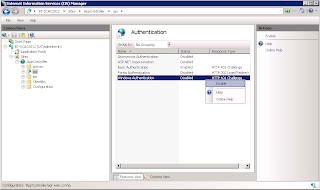 In the Subscription ID field, enter the subscription ID for this connection. 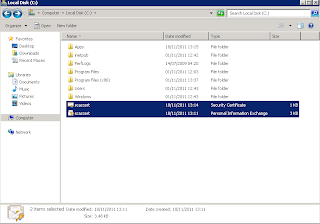 The Windows Azure subscription ID is a GUID and can be found in the Windows Azure Management Portal. 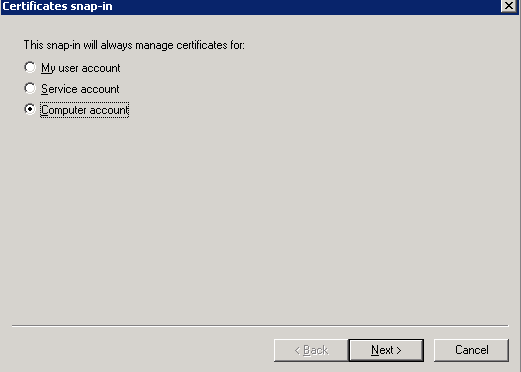 This completes the steps required to create the connection between your public Azure subscription and System Center App Controller 2012. 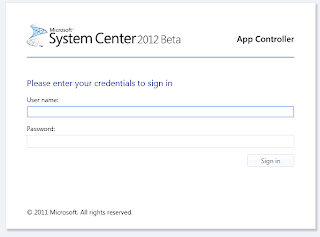 Welcome to the sixth instalment in my series on 'Cloud Management with System Center' and in this post I will be explaining how to connect System Center App Controller 2012 (SCAC 2012) to the Microsoft public cloud offering - Azure. Sound easy so far? That's because it is! 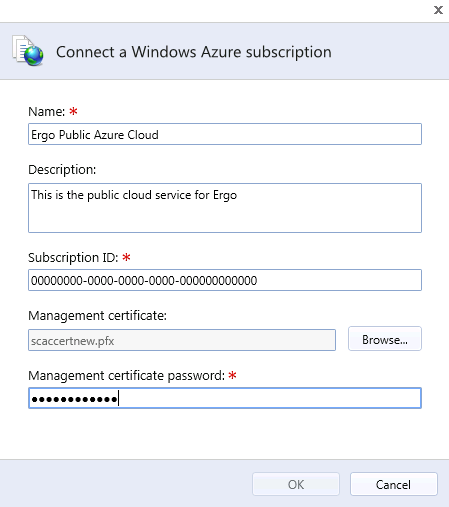 If you have a good handle on certificates and how they work, a basic knowledge of Azure subscriptions and a server or two to use, then you will be connected to the public cloud in no time! 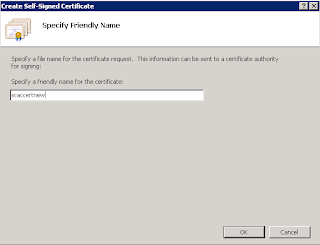 For the purpose of this series, I will be using a self-signed certificate for authentication purposes but would always recommend using a trusted 3rd party CA in a production environment for additional security. 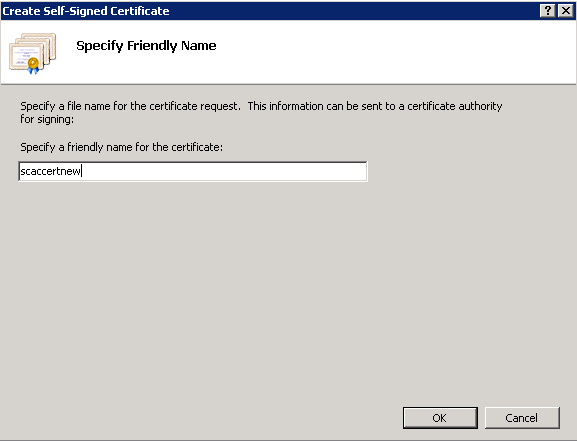 There are a number of ways that you can create a self-signed certificate and none of them are the right or wrong way but in this example, I will be using the IIS Manager on the App Controller server to create the certificate. 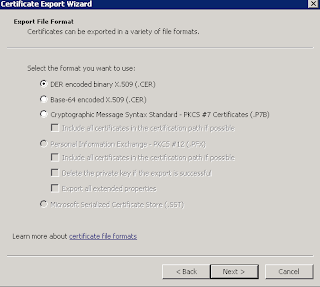 Open the Internet Information Services (IIS) Manager by typing inetmgr in the Start menu textbox and then in the IIS section of the center pane, double-click Server Certificates, right-click the certificate in the center pane, and then click Export. 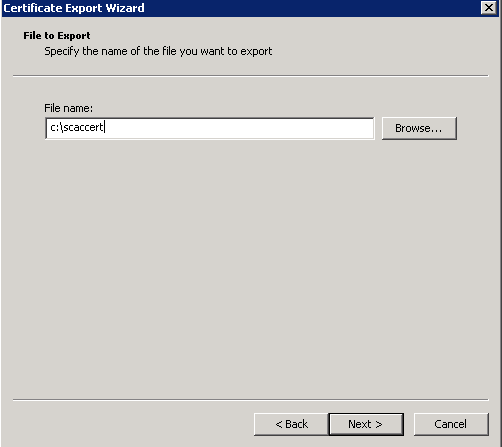 Click 'OK' to complete the .PFX export. 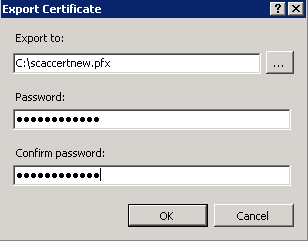 At this point we have our new self-signed certificate added to the Certificate ‘Local Computer\Personal Store’ of our App Controller server (the IIS certificate creation automatially does this) and we have also exported the certificate as a .pfx file which contains the private key of the certificate. 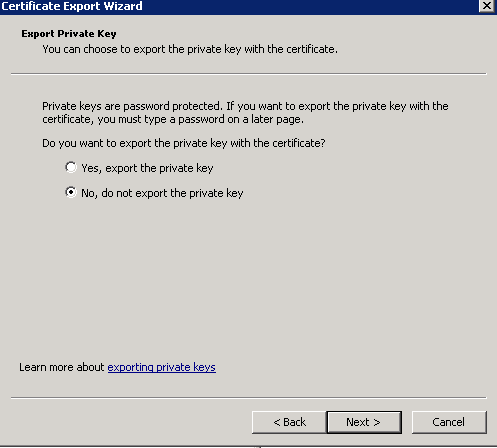 We must now export the certificate again from the personal store but this time we wont be exporting the private key and as such we want to end up with a certificate that ends in a .cer extension. 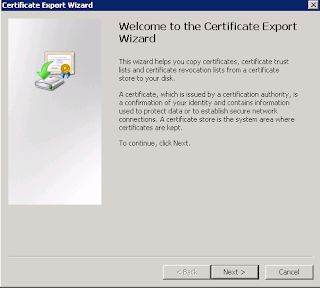 In the Part 2 of this post I will explain how to import these certificates into Azure and App Controller and also how to then configure the link between the two. 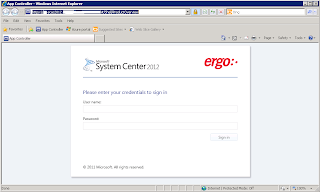 This is a quick and simple post to demonstrate how to customize the System Center App Controller 2012 login screen and administration console and to also walk through the steps required to configure Single Sign On (SSO) to use the users Windows credentials to automatically logon. 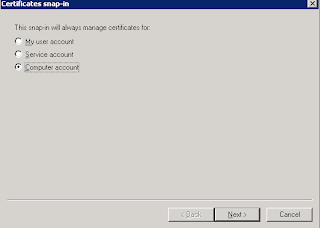 By default, App Controller is enabled to prompt users to sign in by entering their Active Directory user name and password. 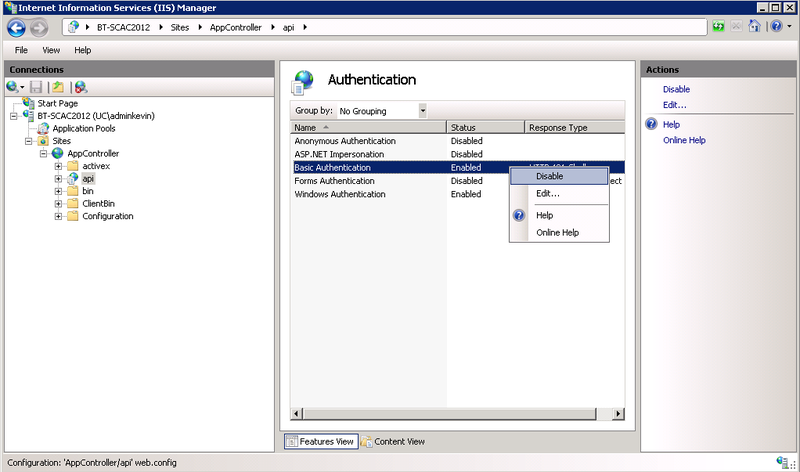 The following procedure describes how to configure App Controller to use the user’s current Windows credentials to automatically sign on. 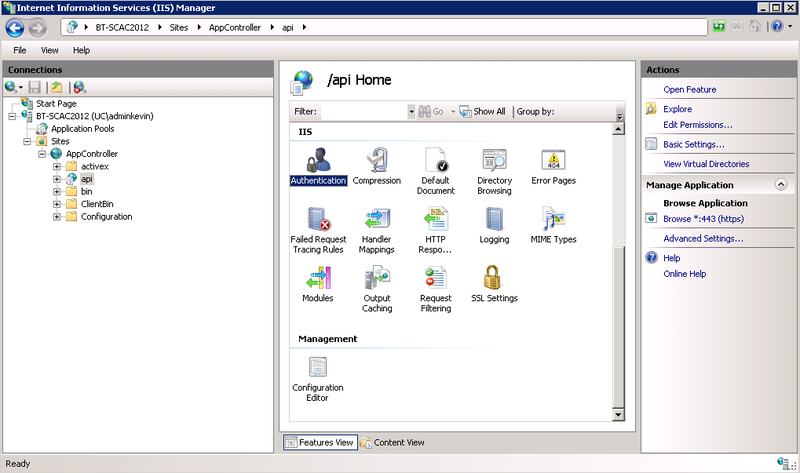 Firstly, open IIS manager on the App Controller server, select the App Controller website and then expand the website and select the /api node. 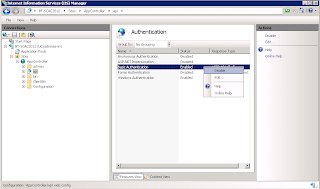 Now, double click the 'Authentication' icon in the center screen and then enable 'Windows Integrated Authentication' and disable 'Basic Authentication'. 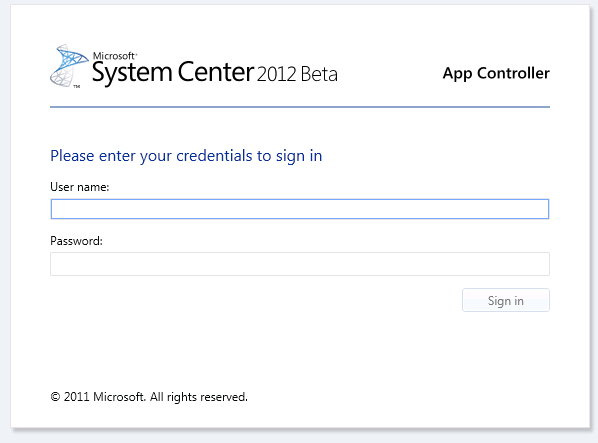 That's all you have to do to enable SSO in App Controller! 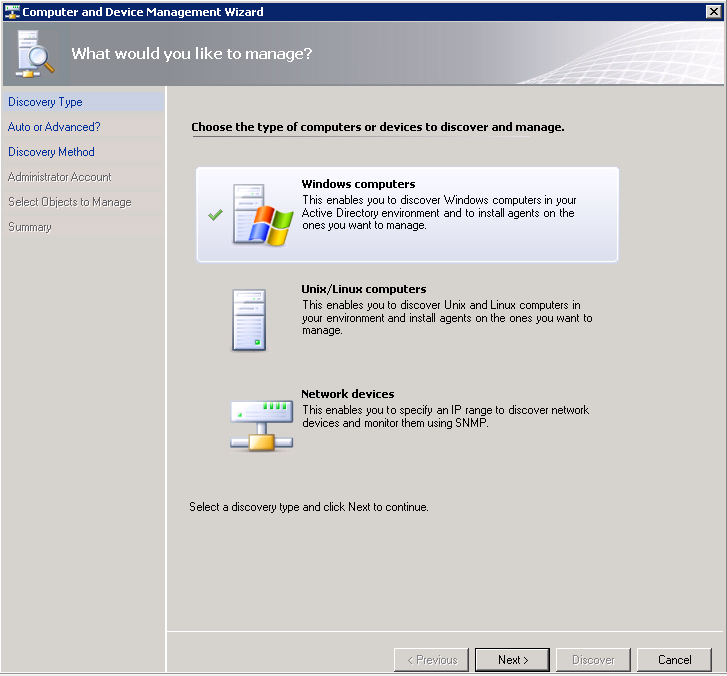 In this part of my 'Cloud Management with System Center' series I will explain how to connect your newly created private cloud within System Center Virtual Machine Manager 2012 (SCVMM 2012) to the newest member of Microsoft's System Center Suite - System Center App Controller 2012 (SCAC 2012). 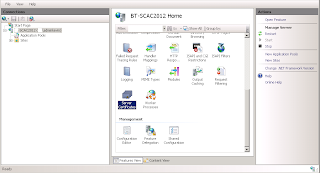 Once you have SCAC 2012 and SCVMM 2012 installed, you should also have your private cloud configured, your virtual machine templates built and your new service template deployed to the private cloud. All that you need to do now is to connect your private cloud to App Controller to allow for central management of all private clouds in your environment with inegration and visibility between any public clouds you have deployed within Azure. 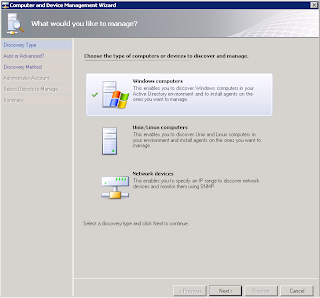 In the 'Add a new VMM connection' box, enter a name for this connection. 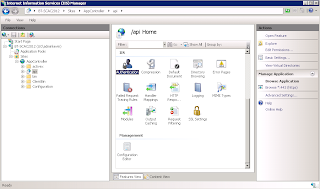 This name is displayed in the Name column of Clouds page. 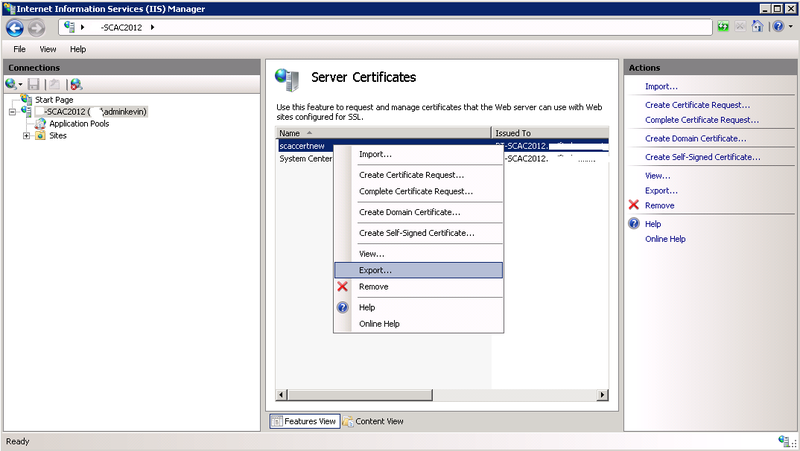 In the Server name text box, enter the fully qualified domain name (FQDN) of the VMM management server. 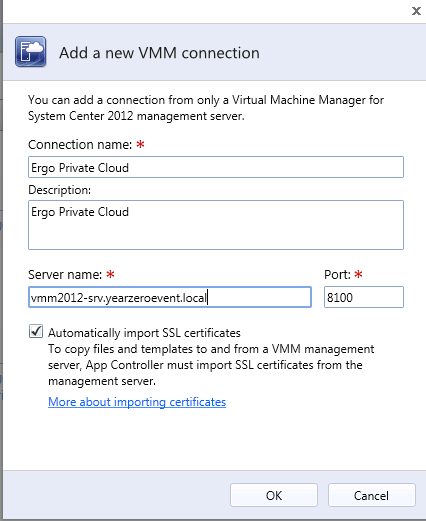 In the Port field, enter a port number that matches the port used by the VMM management server (default: 8100). 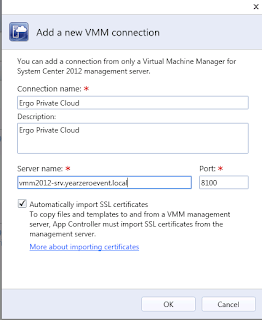 Select 'Automatically import SSL certificates' if you plan to copy files and templates to and from VMM cloud libraries. 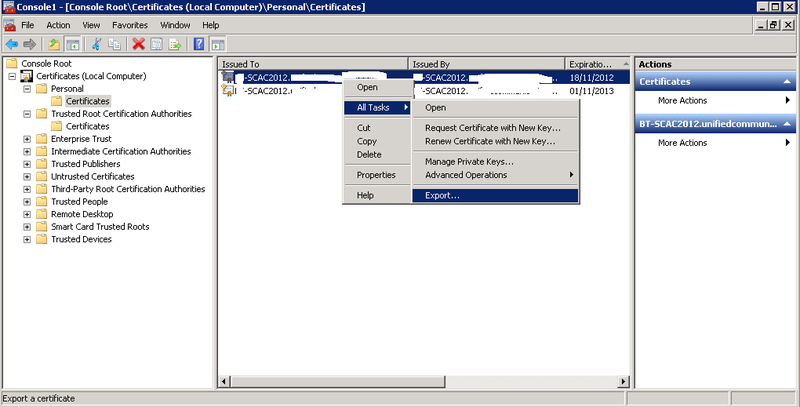 Once you have entered all of you information,click 'OK' to create the connection between SCAC 2012 and your SCVMM 2012 servers. 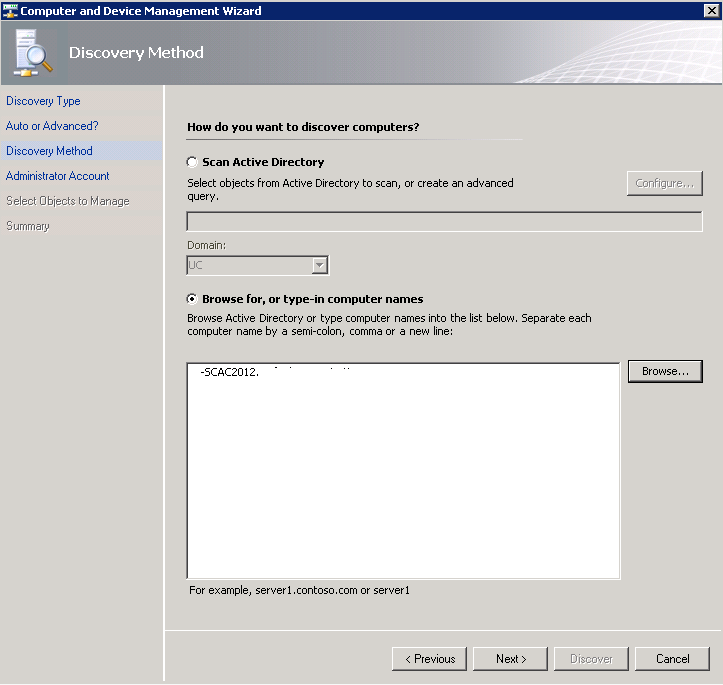 You may then be asked to select which SCVMM user role to use from the new SCVMM server connection for the current session. 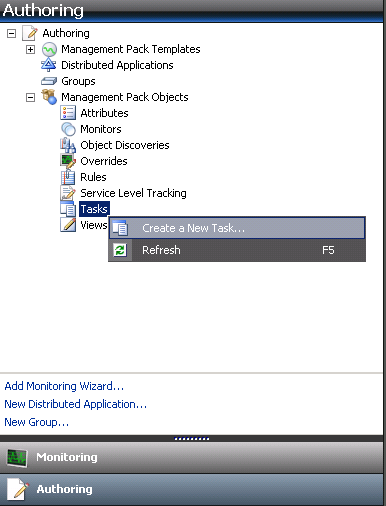 And finally, to get a feel for the 'WOW' factor of App Controller, go back to the 'Services' link on the left hand side to view your deployed service applications again.